If buying a vehicle was a math equation, it would be cost plus power plus versatility equals driving experience. Two full-size SUVs at the top of their class in all of these variables are the 2019 Chevy Tahoe vs 2019 Ford Expedition. It should come as no surprise that the two biggest car brands in the nation are the ones to deliver such automotive excellence, but there is much more to these vehicles then their famous manufacturers. The Chevy Tahoe has always been a fan favorite with sales that no other model in its class can dispute. In 2019 this full-size SUV offers a truck-inspired frame to increase its overall toughness in both looks and practicality. Power is never a question for the 2019 Chevy Tahoe with its large and commanding 6.2L V8 that delivers massive towing potential and flawless control. This bold model offers three-rows of powerful proficiency and is fitted with the latest features for entertainment, safety, and utility. As an added bonus, it is also one of the most affordable in its class. If you enjoying having it all in your busy everyday life, then this model won’t disappoint. If there is any model that can compete with the 2019 Tahoe though, it would have to be the 2019 Ford Expedition. As a fellow full-size SUV the 2019 Expedition offers plenty of space and convenience, and as a Ford, it does everything possible to increase its ruggedness. When it comes to towing potential, this model is unmatched, and it is ideal for those who feel the need to max out their power. That being said, if you don’t need all the power or space, this may not be the best option on the market. This model is also fitted with plenty of features for drivers to enjoy while on the road. Overall, the 2019 Ford Expedition is always looking to make its mark on the world, and go beyond the everyday. So how does a logical and responsible driver decide which of these two fantastic models to choose? Well, the short answer is to just look at the facts and see how they measure up to your lifestyle. If you want someone more affordable and all-around convenient for everyday life, go with the 2019 Chevy Tahoe, but if you like them extra tough and need a little extra towing potential, the 2019 Ford Expedition will do your work for you. When it comes to a build of an SUV, there are two main factors you will want to know about. First will be the exterior dimensions and style which will lead to the overall first impression of the vehicle. Second is the interior cargo space and how it is structured to offer you a comfortable amount of space and flexibility. Both the 2019 Chevy Tahoe and 2019 Ford Expedition are built with superior craftsmanship, but only one has the build to fit your lifestyle. The 2019 Chevy Tahoe is a 3-row SUV that, physically speaking, is a vehicle you can picture pretty much anywhere. Whether you desire sandy beaches, mountains, or malls, this model knows exactly how to blend in, and do its job. Measuring to be 204″ L x 81″ W x 74″ H, the 2019 Tahoe is no compact vehicle, and often that would lead to a style that is overbearing, but not with this model. The 2019 Tahoe is clean and cohesive with its design, but in a way that still lets it grab the attention of onlookers. The front is sporting Chevy’s signature bowtie in a strong split grille design with large headlamps attached to each end in a way that displays elegance as well as power. It is clear what Chevy was going for with this design, and anyone looking for an everyday full-size SUV with a sense of hard-working class will instantly fall in love. As for inside, the 2019 Chevy Tahoe offers 94.7 cubic feet of cargo space when the rear passenger seating is folded. Not only is this space enough to store all kinds of gear for the journey, but every inch of that space can be easily altered to suit your needs for each individual trip. The 60/40 split rear seating allows for seemingly limitless possibilities for how to arrange the cabin to best suit your needs. That being said, with all seats up, this model can accommodate eight people comfortably, and still offer 15.3 cubic feet for storage items. Even though it’s not a van, families of all shapes and sizes will always feel at home on the road in the 2019 Chevy Tahoe. The 2019 Ford Expedition is family time mixed with adventure time. Big and brash by design, this model is strength in physical form. Measuring to be 210″ L x 84″ W x 76-77″ H. the 2019 Expedition is a bit larger than 2019 Tahoe. Between the boldness of the design and the massive size for a closed off vehicle, this becomes a model that no one could miss driving by. Basically speaking, the exterior style is as proud as they come. As for the inside, the extra length, width, and height give the 2019 Expedition the edge when it comes to cabin space. At most, the 2019 Expedition offers 104.6 cubic feet of cargo space that can be altered with easy folding seats to suit your needs. If all seats are up, this model can fit eight passengers and still leave drivers with 20.9 cubic feet of space to work with. So whether it’s a family vacation or an epic adventure, the 2019 Ford Expedition is always prepared. The 2019 Ford Expedition only offers one engine, but in all fairness, it is truly an impressive one for the model. The 3.5L EcoBoost twin-turbo V6 engine is a work of art that pairs perfectly with the toughness that the 2019 Expedition is designed to display. Delivering 375 horsepower and 470 lb-ft of torque this full-size SUV knows what automotive power is truly about. This engine is can tow over 9,000 pounds and is paired with a 10-speed automatic transmission for smooth sailing on the road. In addition to that, drivers will also have the choice between 2WD and 4WD. Fuel economy for this model also tops at 24 mpg highway, which isn’t bad for such a large vehicle. Beating a Ford in toughness has been the goal of other manufacturers for years, but with a model like the Expedition still pumping out quality like this, the battle is far from won. The 2019 Chevy Tahoe offers three primary trims for drivers to choose from including the LS, LT, and Premier trims. Since most drivers will not want to spend a cent more than they must, it is import to take a look at the lowest and most affordable trim, the Chevy Tahoe LS. The LS trim for the Tahoe manages to gift drivers with a number of amazing features such as keyless entry, rearview camera, a rear parking sensors, cloth upholstery, a tri-zone automatic climate control system, cruise control, and Chevy’s signature MyLink 8-inch touch-screen infotainment system with Apple CarPlay/Android Auto and a 6-speaker audio system. With all of this, it seems impossible to want for more, which is great since the next trim level will cost about $5,000 more. The 2019 Chevy Tahoe is all about keeping things simple, straightforward, and standard. The standard 2019 Ford Expedition is the XLT. This trim level starts drivers with a 3.5-liter EcoBoost V6 engine with start/stop connected to a 10-speed automatic transmission. As for features, the 2019 Expedition XLT offers keyless entry, push-button start, power-folding 3rd-row seating, three-zone air climate control, rearview camera, trailer-sway control, audio system with AM/FM, MP3, CD, SiriusXM, and nine speakers, Bluetooth and USB compatibility. All of this is pretty traditional for a full-size SUV, but it does help to know that all this is included without having to pay for a higher trim level. At Carl Black Nashville, we are proud to serve as your local Chevy dealership. We believe in offering our customers the service they deserve, and we achieve this by offering every convenience possible. Each vehicle on our lot is priced as low as possible and has been maintained to the highest of standards. Our customer service and sales team are always at the ready to answer any and all questions that you have or direct you to the appropriate department. Meanwhile, our finance department is staffed with industry experts that are trained to provide financing for all forms of credit and budgets. Even our service center is prepared to serve you with excellent care and can perform routine maintenance or complex repairs with ease. Together our on-site departments work to provide a comfortable and convenient car-buying experience. 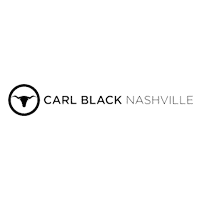 So, if you’re interested in learning more about what we have to offer, visit Carl Black Nashville today!